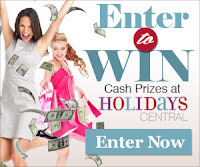 Browse » Home » Swagbucks » Join the Swagbucks Birthday Blowout! Join the Swagbucks Birthday Blowout! The Swagbucks birthday blowout is going on right now! The Swag Nation as a whole is working together to meet five goals: earning Swag Bucks for searches, special offers, surveys, Swagbucks TV, and Invite & Earn. Each time a member earns points in one of these five categories, the corresponding bar on the right-hand side moves up a little. As we reach our goals, pieces of the puzzle on the left-hand side will be replaced with Swag Codes, which will last for 30 minutes. Then a piece of the puzzle will be shown. By the end of the day, if we meet all of our goals, there will be a rebus puzzle, which can be solved for additional Swag Bucks. Find out more information about the Birthday Blowout here. 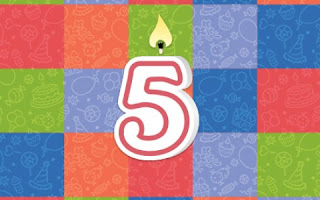 If you aren't a member yet, click here to join Swagbucks and use the Swag Code 5THBIRTHDAY during registration to get an extra 90 Swag Bucks to start! I've earned over $600 in Amazon.com gift codes from using Swagbucks - and you can too. Join me at the Birthday Blowout!